Get your clients to schedule appointments directly from your GoDaddy website. 1. Login to your BookSteam account. 2. 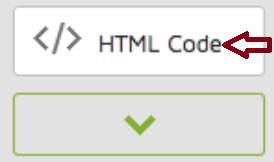 Navigate to the "Marketing" tab, and on the left hand side select "BookNow Button", select size of the button you prefer and copy your code, see below. 3. Open your GoDaddy website builder. 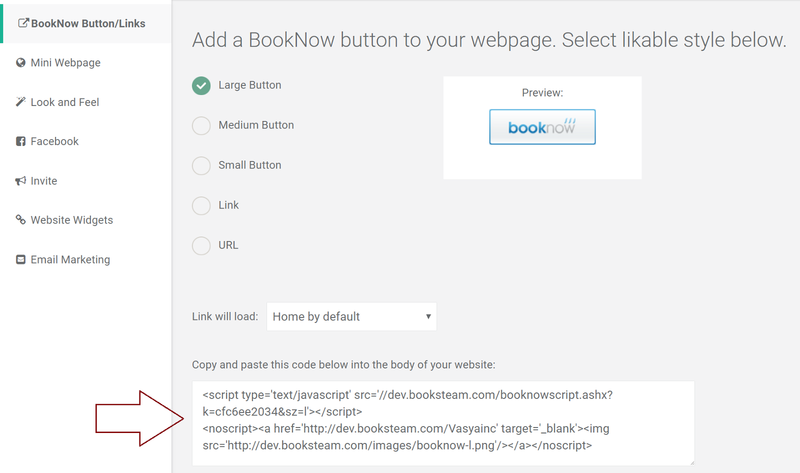 On the left hand side click and drag the HTML Code button to where you want your BookSteam "BookNow" scheduling button to appear and select "Settings". 4. 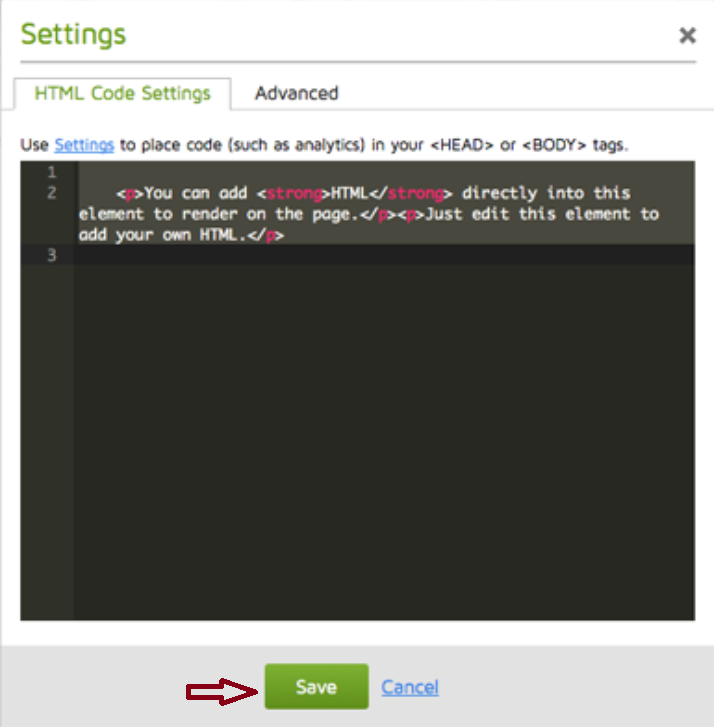 Remove GoDaddy instructions and paste your BookNow button code from step 2 and click Save. 5. Preview and Publish your website. Congratulations! Your clients can now book appointments from your GoDaddy website!